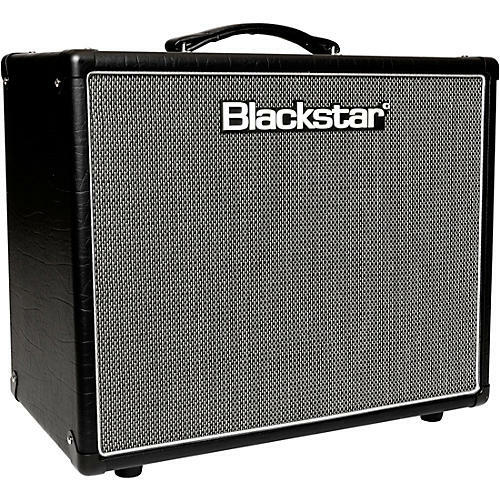 This updated gem is ready to deliver awesome tube tone and studio-quality reverb. The HT-20R MkII offers huge versatility for home, rehearsal or studio use. The carefully voiced preamp, coupled with an EL84 power amp, provides you with the ability to create wonderfully lush valve tones. From pure boutique cleans, to mild overdrive that cleans up by backing off the guitar volume control, right up to saturated distortion, this amp does it all. Adding the features that guitarists have requested, plus stunning new boutique cosmetics, the HT-20R MkII redefines the compact valve amp. Utilizing the iconic EL84 power amp design, you get unparalleled dynamics, response, and versatility. The HT-20R MkII features Blackstar's best clean and overdrive tones, including sounds inspired by classic American & British amplifiers, from clear and punchy cleans to searing overdrive. Each channel is now equipped with a footswitchable voice mode, allowing for even more tonal flexibility. Joining Blackstar’s patented ISF tone control is a USB and balanced XLR outputs for pro recording, a power reduction switch, and a newly voiced studio-quality reverb.